More than 70 Saudi soldiers were killed and wounded in the operations of the army and popular committees last November . Saudi media admitted that 77 Saudi soldiers were killed and wounded last November on the fronts beyond the border . This statistic is only announced officially, as the Saudi regime seeks to conceal its losses on the fronts of the borders, in an attempt to cover the failure that forced him to use the organizations of mercenaries . The spokesman of the armed forces, Brig. 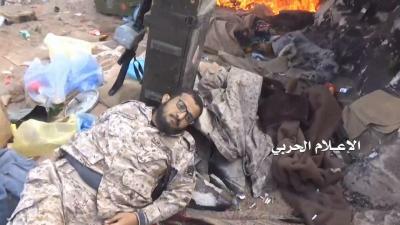 Yehia Saria’a confirmed the escalation of the enemy’s human losses by killing and wounding dozens of soldiers of the Saudi regime and its mercenaries and the destruction and burning of dozens of vehicles and armored vehicles in the fronts beyond the border .